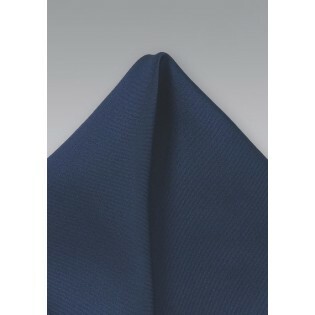 Epitomize high fashion by accessorizing with luxurious menswear accessories like this staple men's navy blue handkerchief. 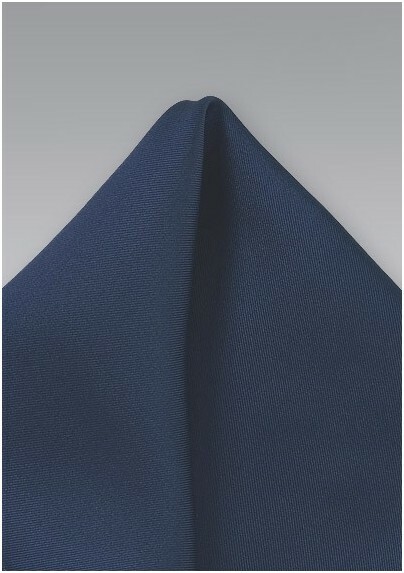 The dark shade of navy blue is an understated piece that adds a sharp and refined aesthetic to an ensemble. Pull together an unbeatable look by teaming this handkerchief with its matching necktie and slim tailored black suit. The navy blue and black color combination defines true elegance. Made from 100% silk.